With summertime upon us, many of us are getting ready to travel with our MacBooks, iPads and iPhones. 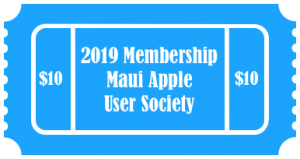 Join us this month as discuss what Apple devices to bring on your trip, internet access tips while traveling, and applications that will enhance your travel experience. For directions to our meetings, click here. Our Remote Meeting last month was again a success using join.me. You can download the Mac App or search for join.me on the iOS App store. The meeting ID code will be posted by 5:50 PM HST the night of the meeting both here and on our Facebook page.